Okay, so I obviously fell behind on my “once a week travel blogging!” goal I set before I went to Europe. I kept it up for a while… but honestly, if I was busy working on a blog post, I wouldn’t have gotten to experience my trip to the fullest extent. But now, I’m home. Back from a trip that taught me a lot about myself, and I’m able to look back at my notes and relive all the amazing countries I got to call home for a little while. 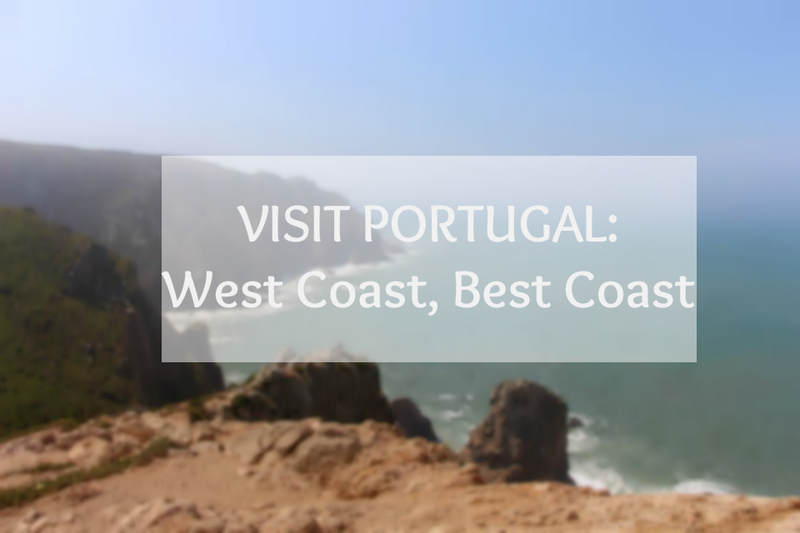 Today, I’m looking back at Portugal. Grandma, Grandpa and I had said goodbye to Mom in London a few days earlier, before boarding our train to get to Southampton. We hopped aboard a little ship called the Anthem of the Seas (more on that later) and braved the bumpiest sea water I’ve ever experienced. Then, after a day in Vigo, Spain, we woke up and were in San Francisco! Okay, not quite. But it sure looks like it, doesn’t it? But after a moment of confusion, we woke up and realized we were in Lisbon! The three of us (I need a nickname for our crew. On the cruise, for gameshows, our team name was “The Grandparents and the Graduate”, but I think for blogging purposes, I need to shorten that further. Maybe we’ll be the triple G’s. The G-Unit? I’m open to suggestions…) were booked on a day excursion through Royal Caribbean. I’m going to write, eventually, all about the cruise, but just while I’m talking about it, can I just say how amazing the cruise excursions were that we went on? I don’t know why anyone would book privately. Our guide today was a girl who was about my age, and her knowledge of her city was so amazing. I sometimes wonder about tour guides in Vancouver – what do tourists come here to learn about? What is the history their guides share? It makes me want to be a tourist in my hometown for a day. Anyone care to join? Our guide, Catarina, took us through the colourful streets of Lisbon. Grandma’s favourite parts were the brick sidewalks. Over the next month, we would see many examples of this – intricate patterns, all laid by hand, centuries old and still holding up. 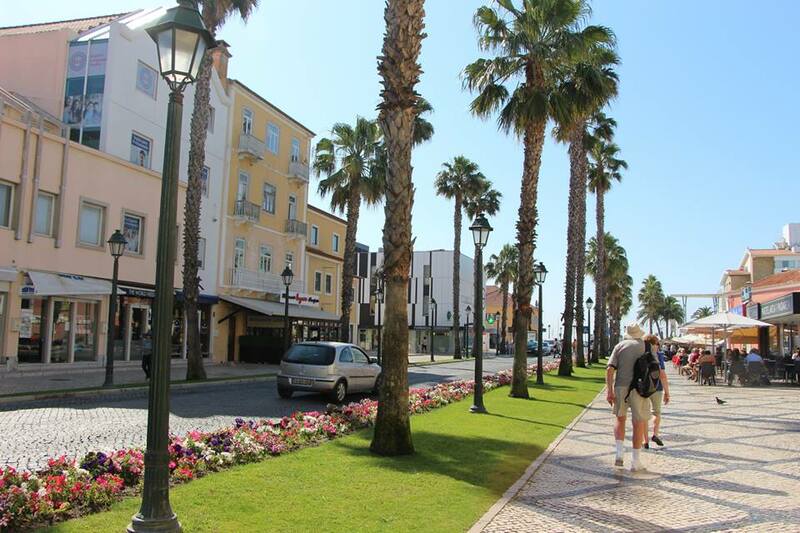 We quickly arrived in our first stop of the day, Cascais. This seaside town is chalk-full of restaurants, souvenir shops and white houses all lined up in neat rows along the coastline. We arrived too early to have any of their food, unfortunately, but Cascais is known for their delicious seafood and, apparently, cheese. I would highly recommend a visit here. Our next stop was one that we didn’t even know about, but what ended up being a highlight of the whole trip. We quickly realized that we were driving up a curving mountain that never seemed to end. 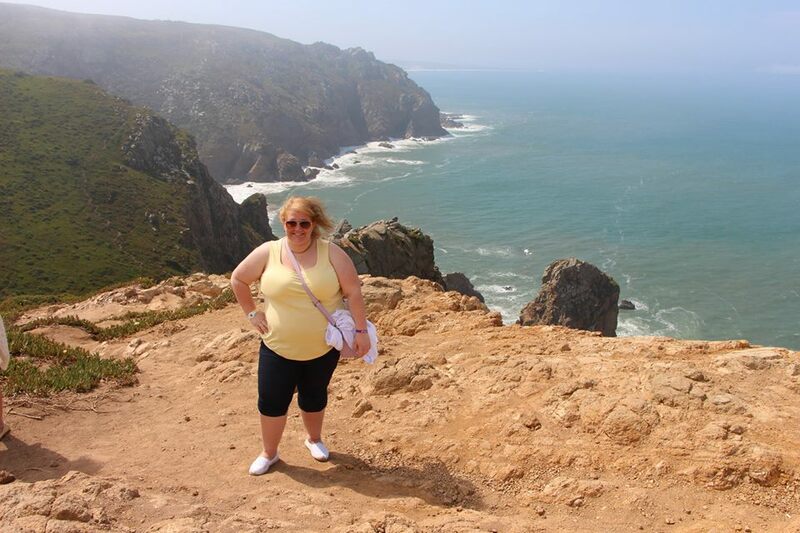 To my delight, Catarina let us know that we were heading to Cabo da Roca, which is, by definition of the Eurasia landmap, the westernmost part of continental Europe! A bucket list check I never knew I had, but now I feel an overwhelming urge to visit the other three points, so that I can truly say I’ve visited every corner of Europe. In case you were wondering, the Easternmost part of continental Europe is an unnamed 545 meter peak in the Ural Mountains (Russia), the Southernmost point is Punta de Tarifa (Spain), and the Northernmost point is Cape Nordkinn (Norway)! For today, however, it was West Coast/Best Coast, and after a short trek from the bus drop-off point, I was standing on a cliff overlooking some of the most pristine, turquoise water I’ve ever seen. Who needs the Caribbean, right? 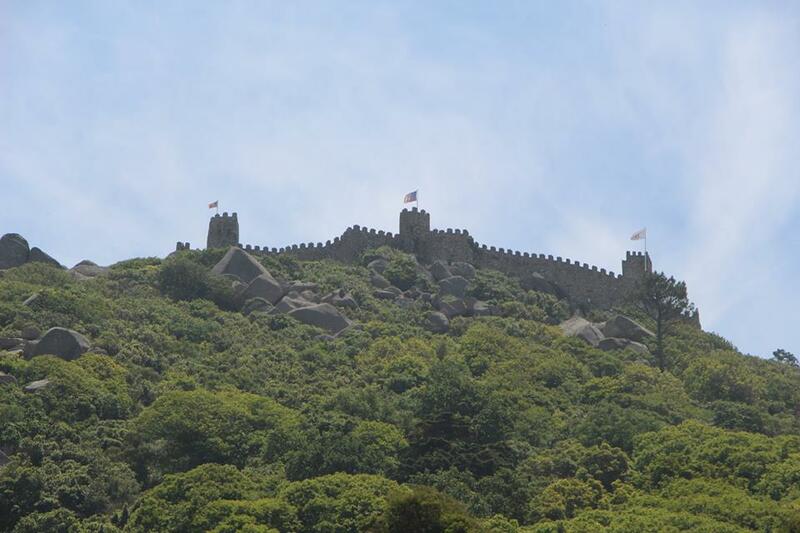 Next, we pulled into Sintra. What a cool town! Ever since visited Burano, Italy, I’ve been a huge fan of mismatched, coloured houses and buildings lining the streets. 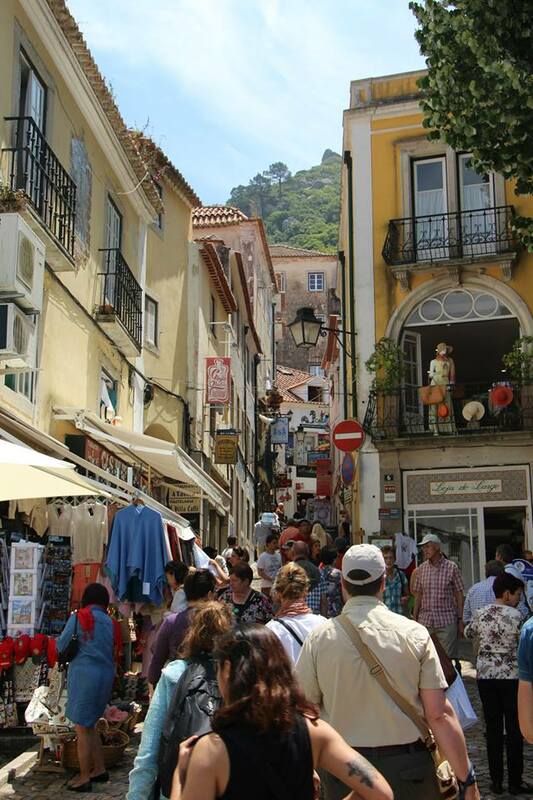 Sintra takes this theme and combines it with hilly, crooked alleyways, hidden liquor stores and sidewalk shops to create a very bustling, enjoyable atmosphere. High above the town is even a Fortress, the Castle of the Moors, acting all regal-like and untouchable (except don’t worry, you CAN go there, and I would highly recommend a visit). Sintra is also renowned for their use of Cork. Yes, you read that correctly. 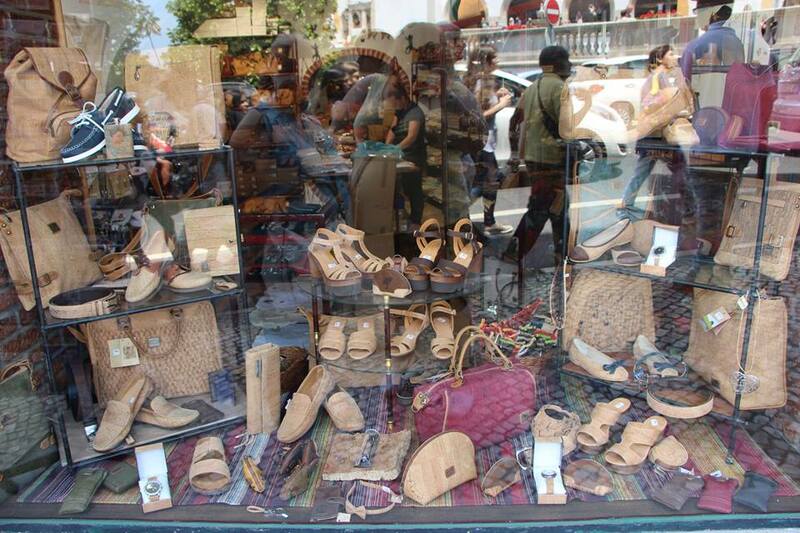 Each shop displayed purses, shoes, wallets and even jackets, fashioned from the little wine plugs we all know and love. Grandma, Grandpa and I shopped unsuccessfully for hats, sipped cherry Ginjinha from chocolate cups, and bartered over handmade necklaces laid out on rainbow patterned blankets on the cobblestoned streets. It was a remarkable afternoon, and, after 2 months traveling throughout Europe, still one of the most memorable towns we visited. I regret not having more time to spend in Lisbon itself. 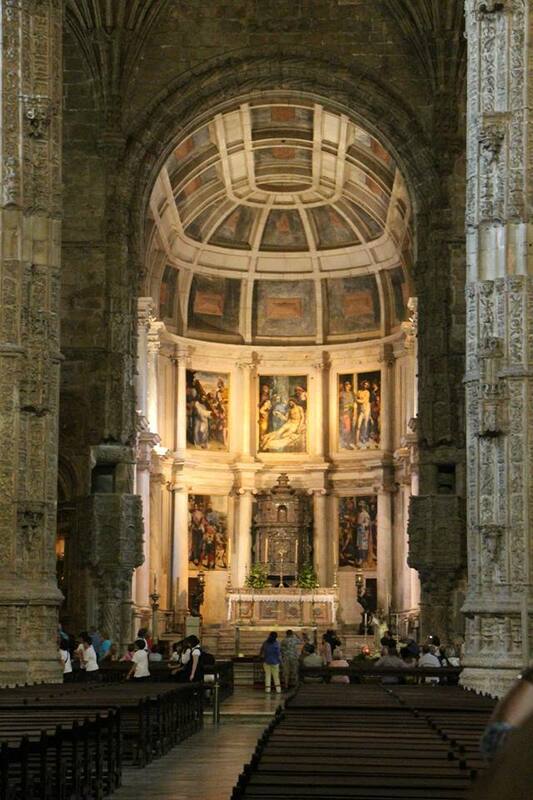 Our tour only took us to one place: the Jeronimos Monastery, an important piece of history in the Portuguese restoration movement. One day was not enough time in any of these places, which is unfortunately the down side of cruise travel. No matter how much fun you’re having, or how many WEEKS longer you could spend in a city, if you’re not back on board by the time we set sail, you’re stuck there. Though I have to admit… I can think of worse places to be stuck. 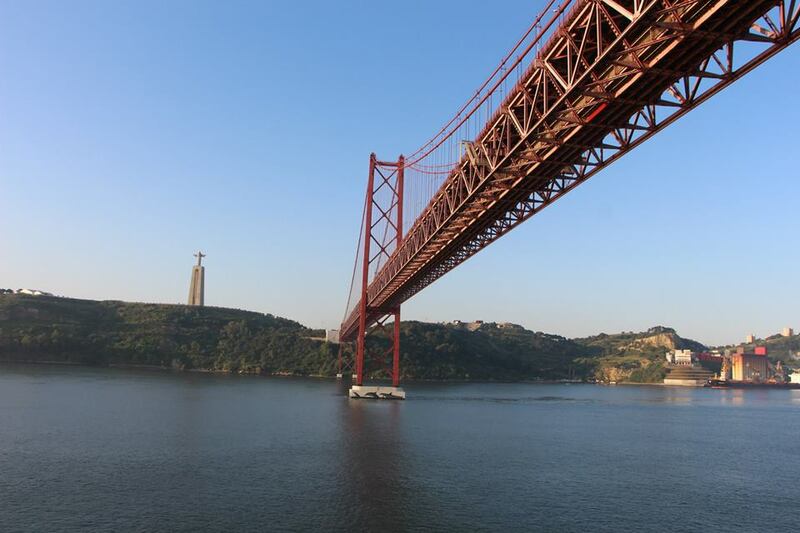 This entry was posted in Lisbon, Portugal and tagged Blog, Cascais, Cobblestones, Cork, Europe, Lisbon, Portugal, Royal Caribbean, Sintra, travel, Travel Writing, wanderlust, West, write. Bookmark the permalink. It’s so difficult to keep up a blog while you’re travelling, isn’t it – you’ve got to leave time to be in the moment! Great pictures. 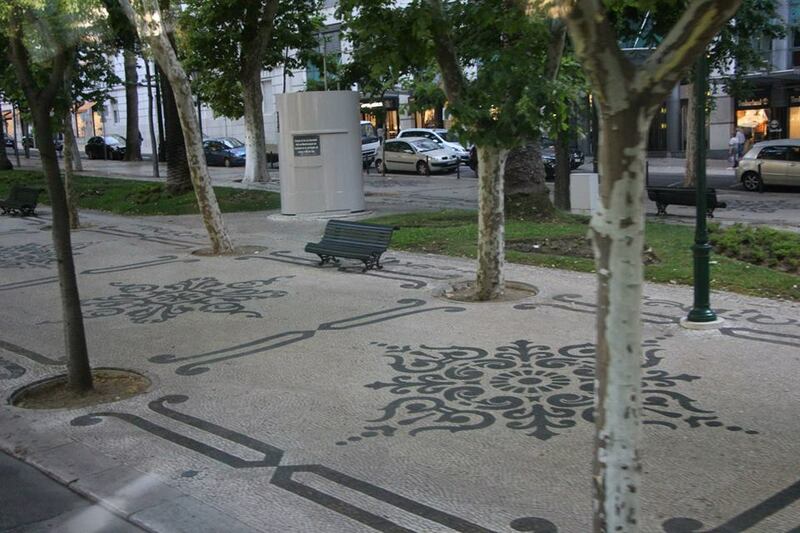 Great post about Lisbon and surroundings.